This model works great with workpieces from 6.35 to 28.5 cm thick. It will let you create different types of connections varying by tail width. A router base plate accepting the Porter Cable guide bushings is needed. 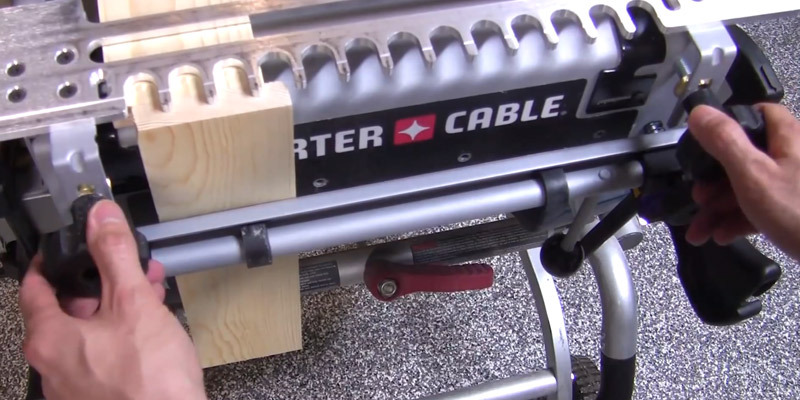 The Porter Cable dovetail jig requires no assembly and is ready to use right out of the box. 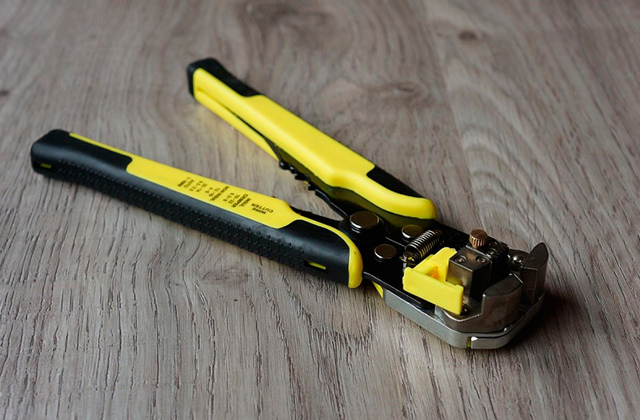 The device comes complete with an all-steel base and features 2 clamps for fixing it on your worktop. Two built-in templates and a range of accessories will facilitate your work with the tool to the maximum. 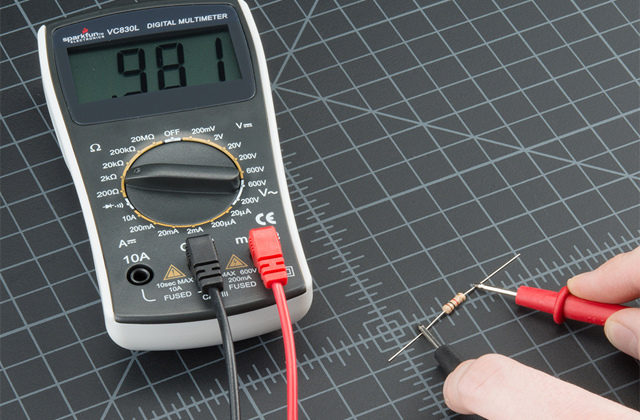 The Porter Cable 4212 is a great choice for furniture making and will come in handy for professionals and novices alike. With a precision laser cut zinc plated steel template, dovetailing is not that difficult as it might seem. Simply fix the workpieces beneath the template, adjust the bit depth and you can start cutting out pins and tails to align a reliable connection. The device assembly might seem somewhat complicated. Thanks to a detailed instruction manual with line drawings and illustrations, you will assemble and set up the device pretty quickly. 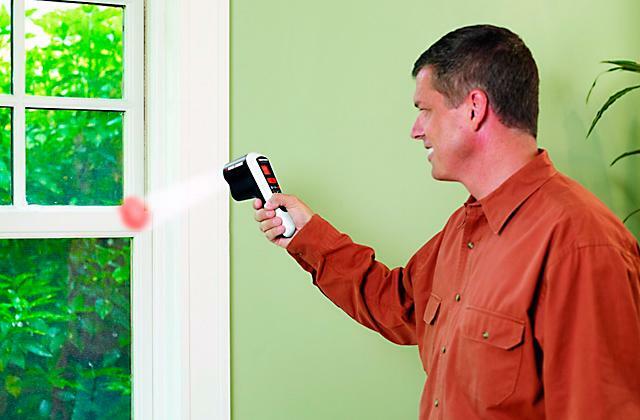 Once set-up correctly, the device is very easy to use and will deliver consistently accurate half-blind and rebated cuts. The model easily accommodates workpieces up to 300mm long and 12-25 mm thick. Quick action eccentric clamps will ensure firm workpiece grip eliminating the risk of any movement or sliding while routing. Setup instructions are a bit unclear. A dovetail jig from Silverline offers a great combo of simplicity, excellent functionality, and reliability. Owing to 4 small holes on the base frame, you can easily attach it to your worktop using wood screws. It will enhance the device stability and ensure cutting precision. 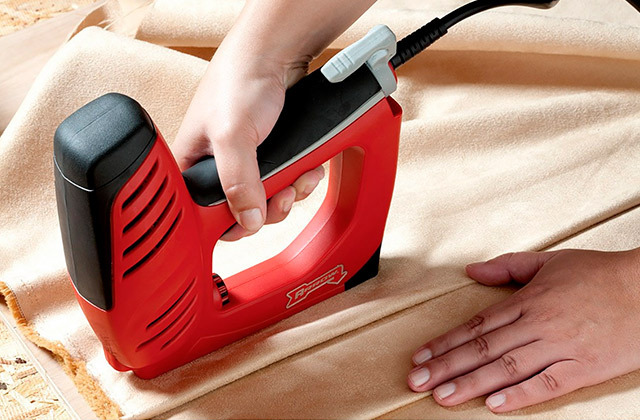 Affordable and efficient, this model will make a good choice for DIY woodworkers and furniture makers. 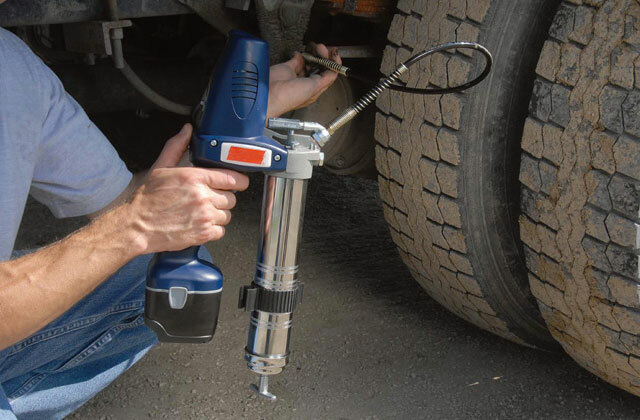 Two hand levers will help you fix and remove workpieces quickly and without a hassle making your work with the device not only comfortable but also maximum safe. The template width is not adjustable. The Woodstock D2796 is a very practical and convenient dovetail jig that will provide precise and perfectly shaped dovetail cuts to create secure and long-lasting joints. Meanwhile, a heavy stamped steel construction is robust and solid ensuring the utmost durability and longevity of the device. The tool comes fitted with a depth gauge that allows precise alignment of workpieces for perfectly matched and precise joints. Neither cutting width nor template width is adjustable. Simple yet functional, the General Tools dovetail jig is suitable for use both on a worktop with a handheld router and with a table router as well, whichever you have in your workshop. Made of lightweight yet durable aluminium, the whole construction is portable and long-lasting. Suitable for small and large workpieces processing, this model will find its place in any woodworker arsenal. 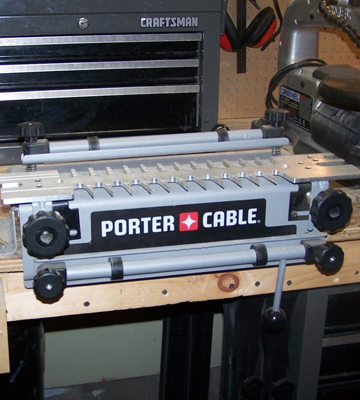 The PORTER-CABLE 4216 dovetail jig can be installed on any table by tightening four cam clamps. Two lock cams on the front and top of this model allow installing two wood pieces orthogonally. So, you can cut notches in one piece and tails in the other in one pass and save the time, getting a perfect joint faster. Owing to its 30 mm length, the jig can accommodate two to four workpieces to accelerate the work. As for the thickness, the device is able to secure 6-32mm pieces, which is great for a home workshop. The outfit of this dovetail tool includes two aluminium templates for cutting joints straight out of the box. The template 4211 is designed for making half-blind, rabbeted half-blind and sliding dovetails. The 4213 template allows making box joints and through dovetails. Having this arsenal of templates, you'll be able to make reliable joints for assembling drawers, window and door frames. The jig can be also used for joining parquetry and making furniture of a custom design. For example, with these templates, you can cut finger joints for chair legs to attach them to a seat. Among the convenience features this dovetail jig has to offer, the simple and quick locking pieces were the most appealing. The point is that the jig is fitted with two locking bars with a lever on each. Thus, you can hold a workpiece with one hand and tighten a bar with another. It would seem there's nothing special about the design but in practice, it is incredibly convenient and greatly facilitates the tool use. 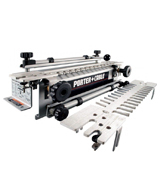 The Porter Cable dovetail jig is suitable for starters and skilled woodworkers who need a wide range of joints and appreciate a fast material processing and high capacity. In Trend, they know everything about routing. 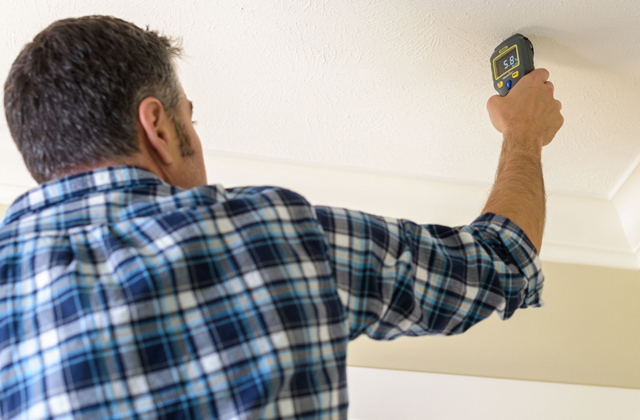 Established over 60 years ago, the manufacturer has been constantly developing router technologies to keep up with modern market needs and meet individual needs and requirements of both professional woodworkers and DIYers. Boasting a strong reputation for high quality, the manufacturer managed to make the Trend a recognised brand and offers a well-thought range of products to help users accomplish complicated cutting tasks that would normally require strong skills and more specialised machinery. 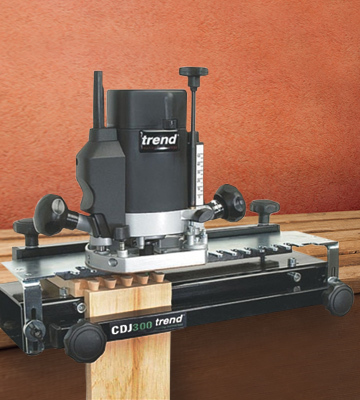 The Trend TRECDJ300 dovetail jig is one of such products designed to take the strain off out of dovetailing. 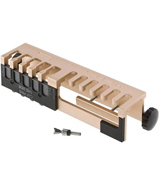 The package comes complete with everything you need to create accurate and elegant dovetail connections. It includes a robust router base easily and securely screwed to your worktop ensuring stability for precise cuts, a single template, 2 bars clamps, a 15.8-mm guide bush, and a 6.35-mm shank TCT 104º dovetail cutter. 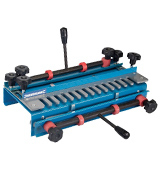 The bar clamps are coated with an abrasive material to firmly hold your workpieces in place for accurately cut and ideally shaped tails and sockets. A template is machined from a single piece of steel and features equally spaced and sized guide fingers. It rests on two small yet sturdy supports and is fastened to the base by two tight screw-on fixtures also allowing you to adjust the template to the workpiece thickness that might vary from 12 to 25 mm. Though the whole device comes disassembled, the assembly and setup won’t take much time, thanks to the detailed instructions with illustrations and line drawings included. The Trend dovetail jig will make an ideal complement to your wood router and will let you make finely crafted and consistently uniform dovetail joints having a machine cut look in almost no time and with minimum effort. First appeared in the times of the ancient Egyptians and Chinese emperors, a highly reliable dovetail joinery technique is still widely used in woodworking, especially in furniture building and cabinetry. And for a good reason. By connecting two pieces of wood at a right angle, dovetails allow achieving extremely strong and long-lasting connections for boxes and drawers, cabinets and shelves, carcas constructions and table frames, and are effective on nearly any type of solid wood, be it maple, oak, aspen, alder, or even plywood. Among various types of dovetail joints including through, half-blind, sliding, secret mitred, rabbeted, and bevelled dovetails, and box joints, a half-blind or a single lap dovetail joint where the tails are housed in the sockets so that their ends are not visible is probably the most popular one for furniture making. Hence, if you are into carpentry and cabinetry, you will definitely need a good dovetail jig for making ideal half-blind dovetails. This is where we recommend turning your eyes to the Silverline 633936. 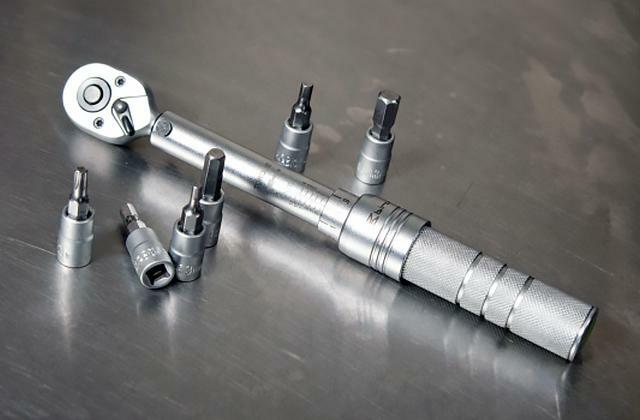 Designed specifically for creating half-blind connections, this model can hold two workpieces, a tailpiece installed flush with a pin piece, to let you cut both tails and sockets at a single pass. 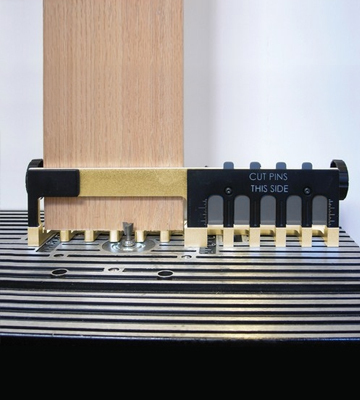 Quick action eccentric clamps are adjustable to accept the timber from 25 to 32 mm thick and will ensure a firm workpiece grip eliminating the risk of any movement or sliding while routing. To further enhance the jig stability and ensure maximum precise cutting, you can securely screw the device to your work table, thanks to 4 small mounting holes on the base frame. A 12.7-mm template with a fixed incremental pitch will let you cut uniformly sized pins and sockets to achieve professional-grade joints similar to those made by machines. The whole construction is made of first-class corrosion-resistant stainless steel and looks very sturdy and durable. Thanks to the Silverline dovetail jig, you’ll be able to make smooth and nice-looking connections between the drawer or chest front and sides instead of using screwed or glued joints or attaching a false front to cover visible end grain on the boards and create attractive cabinet or cupboard facades. Every woodworker knows that a clean-cut dovetail is a pinnacle of the craftsmanship and the evidence of top-quality. Dovetails can be cut by hand but it will take you literally years of experience to tailor your cutting technique to perfection. However, today, machines, such as table saws and wood routers, along with a variety of jigs, make dovetailing times faster and easier. And even a pretty simple dovetail jig like the Woodstock D2796 will let you create perfectly crafted joints without a hassle. 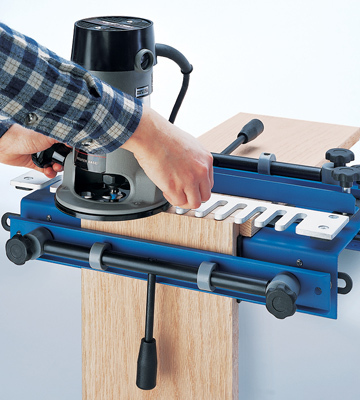 Like all table-mounted jigs, this model consists of a base, two guide bars with clamps for holding timber workpieces, and a cutting template fixed on the base. The base and bars are made of solid steel powder coated to resist corrosion. The template is accurately machined from aluminium and features equally spaced fingers to let you achieve machine-quality uniform cuts. All elements are highly durable and won’t deform over time ensuring consistently precise cutting to get perfectly fitted joints every time. The whole construction comes pre-assembled and offers a pretty easy setup requiring no special skills. You will only need to screw it onto a bench top and perform final adjustment and tuning to accommodate the workpiece at hand. 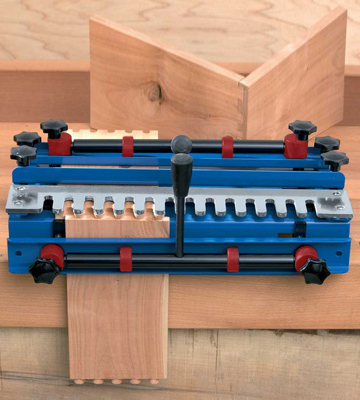 Owing to a unique cam-action clamping system, this dovetail jig will lock two boards in a position to cut pins and tails in a single pass. 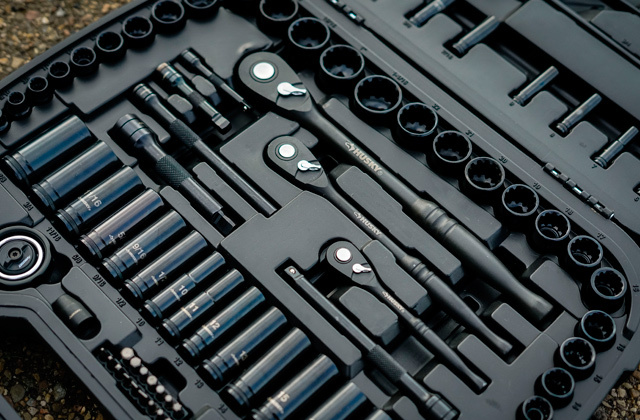 Meanwhile, two hand levers will help you fix and remove workpieces quickly and without a hassle making your work with the device not only comfortable but also maximum safe. 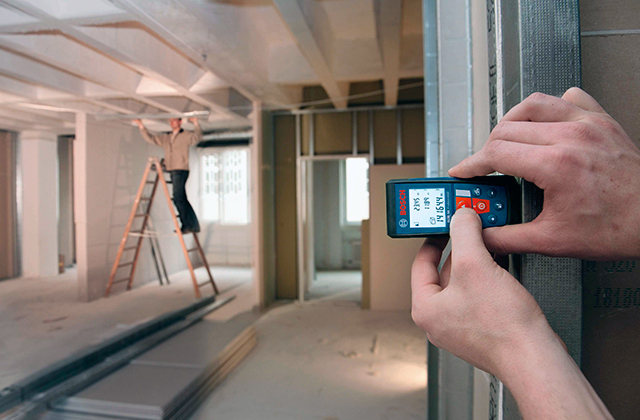 The D2597 is designed to handle stock from 12.7mm to 30mm thick and up to 300 mm wide. It will enable you to simultaneously cut 15mm half-blind dovetails and pins with a router subject to purchasing an 11mm guide bushing an a 12.7mm 14° dovetail bit not included in the set. With a simple yet sturdy and functional dovetail jig from Woodstock, even a beginning woodworker will quickly master dovetailing and have an opportunity to apply dovetail joints for enhancing the simplest DIY projects. Router Table? Ok! Router Only? No Problem! 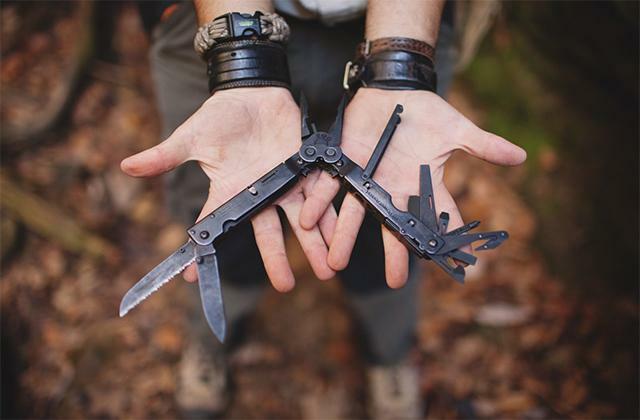 The General Tools has a 100-year experience in making tools for craftsmen and DIYers and the E-Z Pro Dovetailer II is among their products. This model has somewhat uncommon design and can be used on router tables as well as standalone routers. 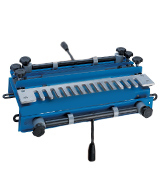 The jig is made of aluminium and is designed with 4 clamps for securing workpieces in place. The template fingers are non-adjustable so the joint size is permanent. In contrast, the depth of cutting half-blind dovetail joints can be adjusted with the plate. 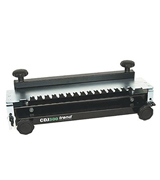 This piece of equipment also enables you to make box joints and edge to edge joints. As for the dovetailing capacity, the jig can make pins with the length of up to 12.7 mm at the maximum inclination angle of 14°. 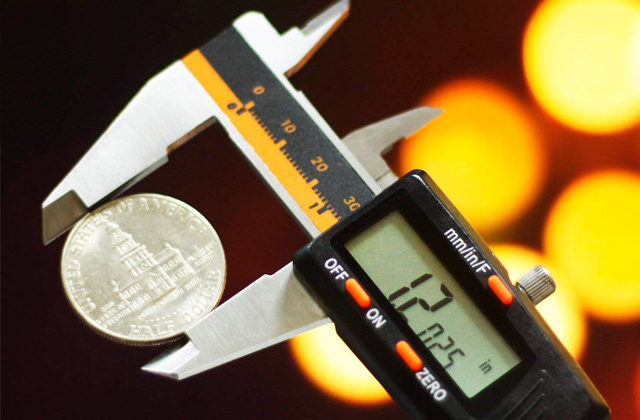 The machinable piece thickness is capped at 2.5 mm while the length is not restricted. That's because you can shift the jig away from the cutter leaving the untreated area beyond the structure jig-piece. The procedures described refer to the use of a standalone router when the workpiece is secured to the countertop. The bi-directional design of this model provides an advanced use depending on parameters of workpieces and a router table. It's a very handy feature that allows handling both small and bulky pieces. You can use the accessory template of the jig for cutting half-blind joints. Once you finished cutting pins in a workpiece, you can use the workpiece for shaping the tails on the other to make the joints that match perfectly. Another convenience feature this tool has to offer are the plastic caps on the clamps. They are provided to avoid damaging workpieces while clamping. During the use, we noticed that the jig comes with 4 clamps but features 6 holes. 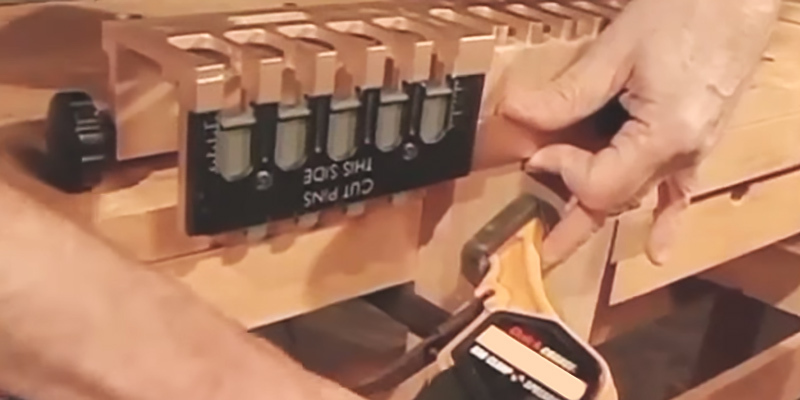 The extra holes allow you to arrange clamps closer to each other for securing smaller pieces. 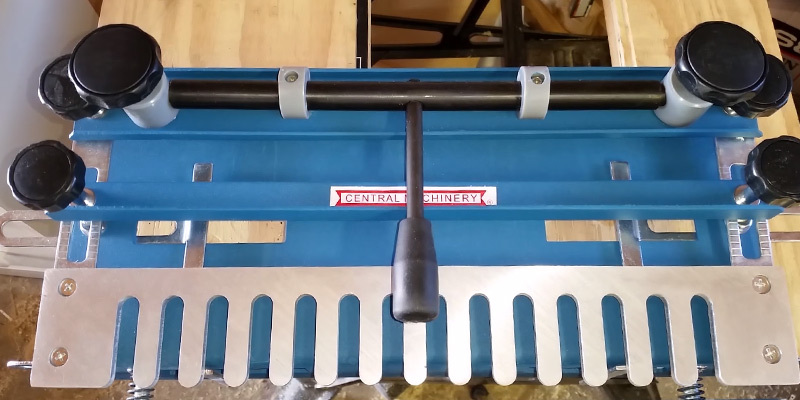 So, this dovetail tool is a nice buying for those who often handles various stocks as well as for craftspeople that have no router tables and look for affordable jigs. A dovetail joint, also known as a culvertail, swallowtail or fantail joint, is one of the oldest and strongest connections. 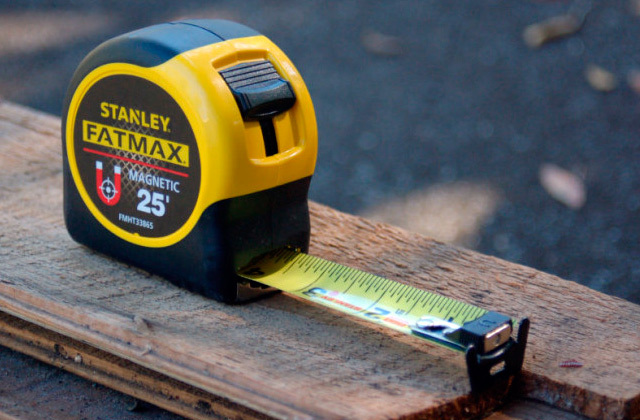 It has been around for centuries and still remains the most recognized joint in woodworking. It relies on a holding power of an interlocking joint and is widely used in carpentry and joinery for creating furniture, cabinets, drawers, carcass constructions, log buildings, and timber framing. Though tight and long-lasting, the dovetail is one of the trickiest joints to make. Formerly, joiners and carpenters used hammers and chisels for cutting out pins and tails in workpieces. A perfectly aligned dovetail connection was a sign of true craftsmanship since it required an excellent skill and a lot of patience to take precise measurements and do accurate cuts. Over time, wood routers were invented to take the strain off out of woodworking operations and make woodworking more feasible even for non-professionals. Today, you can also find a variety of accessories for routers greatly expanding the functionality of these devices and a dovetail jig is one of such accessories. Usually, it’s a kind of a metal template holding a timber workpiece in a vertical position and guiding the router operating on it. The jig will let you make small, medium, and large dovetails and make a joint with a particular shape. Thus, a dovetail jig is certainly very helpful for quick and accurate cutting of tenons and mortises with a wood router. If the woodturning is your cup of tea and you spend a lot of time doing it, a router table will help you in processing massive workpieces. A dovetail jig consists of a metal template and the base it rests upon. The base features clamps for wooden pieces and fasteners for securing the base on a countertop. 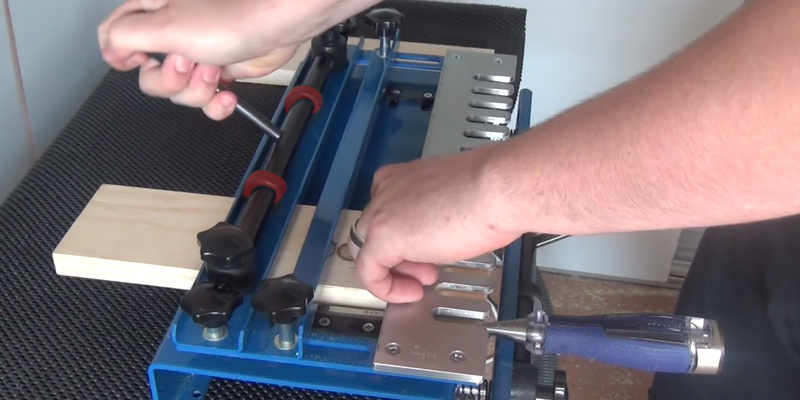 In general, the jigs are divided into bench-mounted and router table jigs. Speaking of bench-mounted jigs, they are usually secured with vises. Router-table jigs are used with guides that are mounted on tables. After deciding on the device type, you need to determine the jig width. 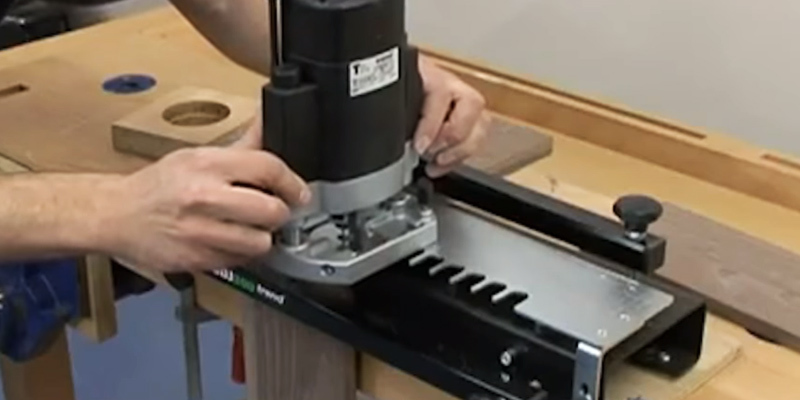 Generally, bench-mounted models are 12 to 24" wide while router table jigs are of different sizes. That's because router table jigs can handle one workpiece at once while bench-mounted models can work with four and more pieces. Moreover, pieces can be arranged so that you can cut tails on one workpiece and recesses on the other in one pass. Templates are the key elements of dovetail jigs as they define the variety of joints that can be made with their help. There are stationary and adjustable template models. As for adjustable models, they allow making joints with the required distance between pins and tails. These jigs commonly feature fingers of different lengths and shapes for making such types of joints as half-blind, rabbeted half-blind, through dovetail, sliding dovetail, and other types. Dovetail jigs may come with two and more templates, thus we recommend you to stock a number of templates or pick a jig with adjustable fingers if you deal with many types of joints. Pay attention to the way a workpiece is secured on the dovetail jig, the simpler the holding system the more reliable it is and the more comfort you have working with it. Some models feature clamp bolts for holding a workpiece at both ends, which require tightening. Also, jigs may come with a single clamp bolt that allows securing a workpiece practically by the wave of the hand, which is more convenient for an operator. Some dovetail jigs include vacuum ports to remove chips and dust after the cutting. Concerning router table jigs, it is better to have them with reversible bases as router tables feature left or right slots. Moreover, there are models which may be installed on a router table or a table saw and are truly convenient! 1. Dovetail joint, Wikipedia. March 7, 2017. 2. Using a Dovetail Jig, DIY Network. 3. How to Use a Dovetail Jig Router, Technology Education, Archbold School. 4. Economy Dovetail Jig, Lee Valley Tools. 5. Bill Krier with Chuck Hedlund 9 steps to great-looking Half-Blind Dovetails, WOOD Magazine Staff. 6. 12-minute dovetails, WOOD Magazine Staff. 7. J. Norman Reid Getting the Best From Your Dovetail Jig, Highland Woodworking. 8. What is a Dovetail Jig? wiseGEEK.